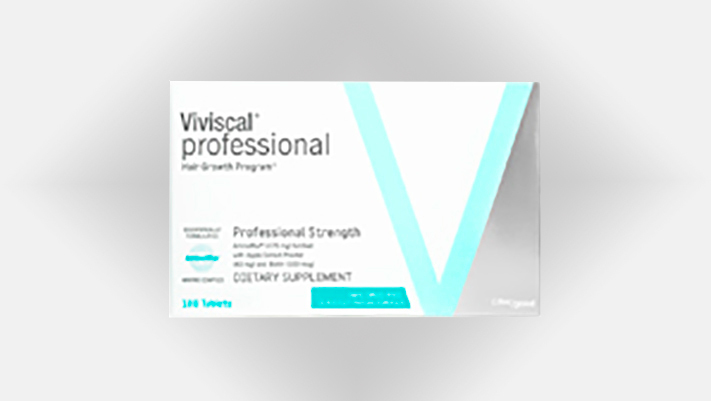 Viviscal Professional is a clinically proven, 100% drug free dietary supplement for fuller and thicker hair. Backed by more than 25 years of continuous research by some of the world’s leading hair growth clinicians, it is one of the most researched hair growth supplements on the market today. These dietary supplements are scientifically formulated with the ground-breaking, exclusive marine complex AminoMar®, which helps to nourish thinning hair from within and promote existing hair growth. Along with AminoMar, Viviscal Professional hair growth supplements also contain key nutrients essential for healthy hair growth, including Biotin, Apple Extract and Vitamin C.
Viviscal Professional is suitable for women and men of all hair types.